Roomy. And pared back. Senisa makes storage simple with a roomy interior and clean lines. This 2 door wardrobe is the perfect addition to any bedroom. In matt grey, Senisa is at home in any decor. 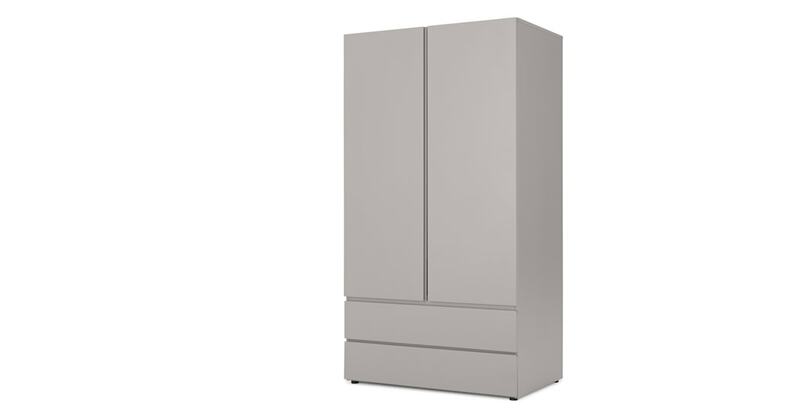 And generously fitted with 2 drawers, this wardrobe has plenty of space for all your clothes. Match all the storage in your bedroom with the Senisa collection. Including a chest of drawers and bedside table, Senisa makes it simple to get that sleek finish.